The baby room is for babies ranging from 3 months to 12 months old. 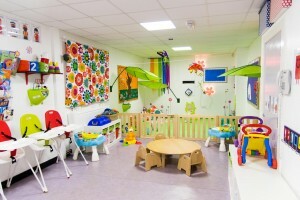 All our staff are fully qualified and trained to deal with the special needs and care of your baby. 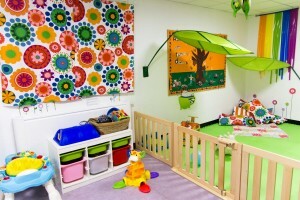 The baby room is a beautiful bright and spacious room, fully equipped for all your baby’s needs. 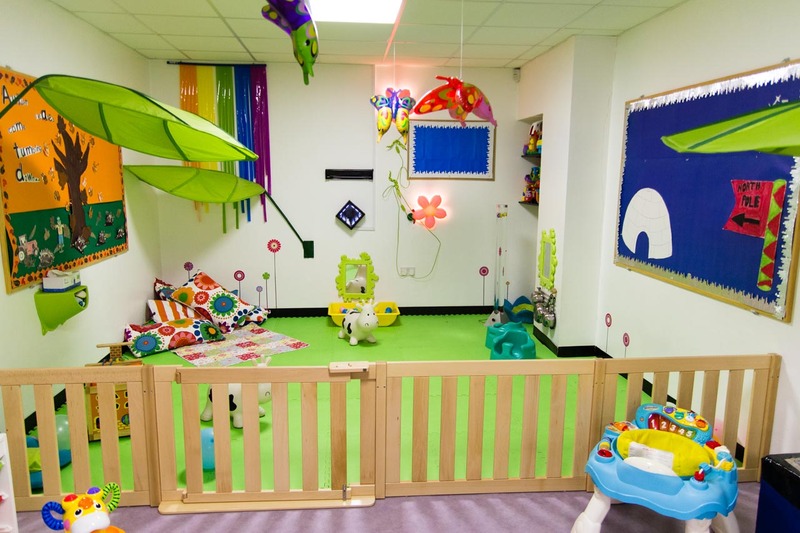 Our room has underfloor heating to ensure that the room remains at a nice cosy temperature for your baby. The windows allow for plenty of natural light and fresh air. 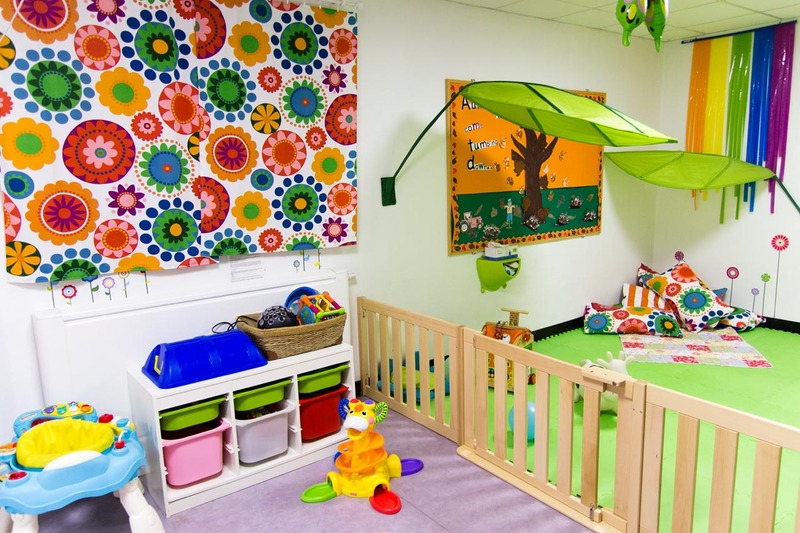 The baby room consists of bright colours with cute flowers and picketed fence, making it into a beautiful garden theme with hanging butterflies and colourful rainbows. 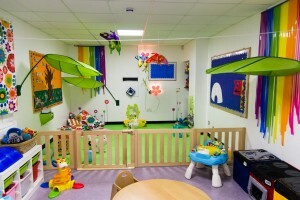 We have a wide range of toys that will encourage your baby to interact and develop in their walk, talk and play. 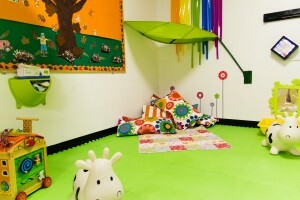 We also have an area designated for your baby to have a peaceful sleep, uninterrupted by the play area in the main room. 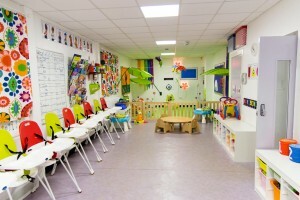 The main fire exit door leads directly from this room, onto the children’s playground area and then onto the car park safety point. Parents are required to supply all nappies, wipes and creams, as well as bottles with your baby’s required milk and all puréed food.